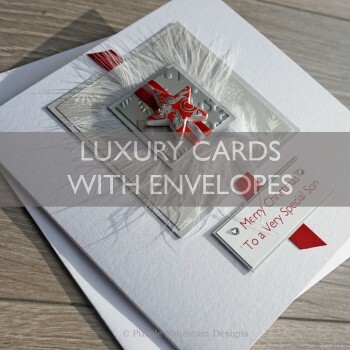 The same great quality as our luxury boxed cards, and all with free personalisation, but these extra special cards are supplied with a white envelope instead of a presentation box for those on a tighter budget. 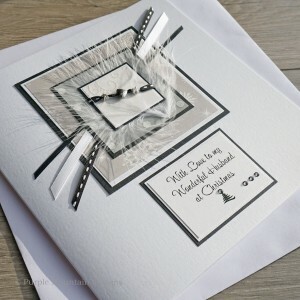 With traditional and contemporary designs and colours there is a card for everyone this 2017 Festive Season, from mum and dad to grand-parents and brothers and sisters. 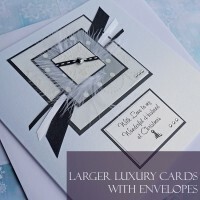 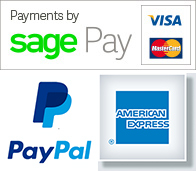 Large cards are 190 mm square and the standard size are all 140 mm square. 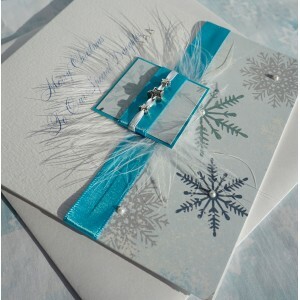 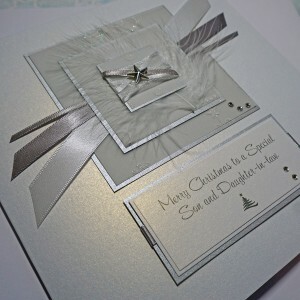 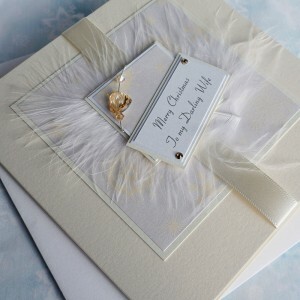 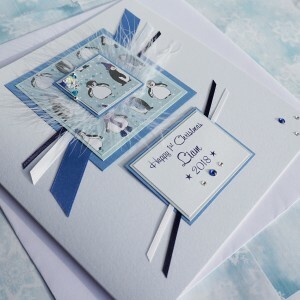 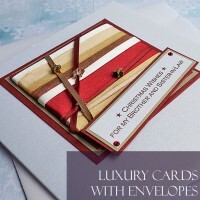 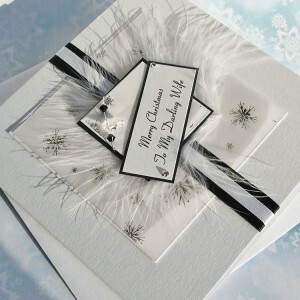 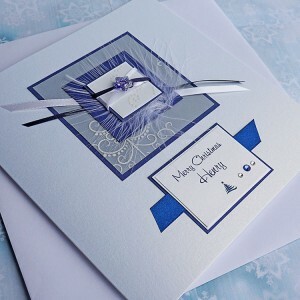 Luxury Handmade Christmas Card "Silent Night" personalised for Wife, Girlfriend, Husband, Son... .. 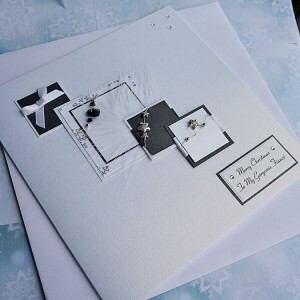 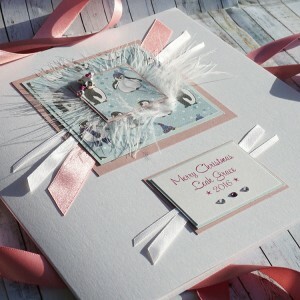 Luxury handmade Christmas Card "Pink Boxes" perfect for Wife, Daughter, Fiance, Girlfriend A ..
Personalised Handmade Christmas Card "Sleigh Bells" Silver star beads and a go.. 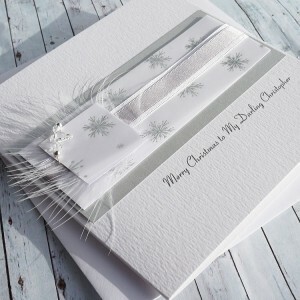 Luxury Christmas Card "Winter Treats"
Personalised handmade Christmas Card "Winter Treats" Silver star beads threaded with a s.. 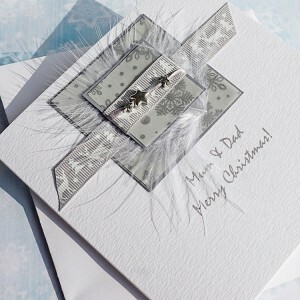 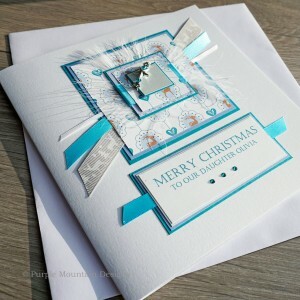 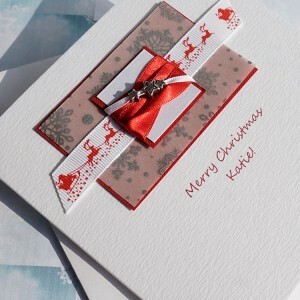 Luxury Handmade Christmas Card "Silver & White"
Personalised handmade Christmas Card "Silver & White" A Swarovski crystal heart wire..
Personalised handmade Christmas Card "Spices" A Swarovski crystal heart wired onto a lov..